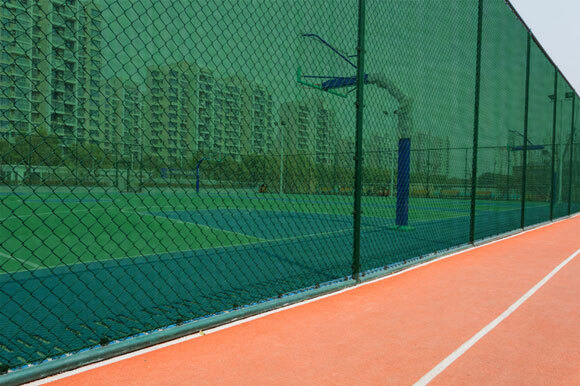 Privacy Screens are made with either a woven polypropylene fabric or a knitted PP or PE yarn. The edges are enforced with a strong polymer based webbing to give the edges extra strength and with brass or aluminum grommets every 24” for easy installation with tie bands on metal fences it provides privacy and protects the site from invasion. This product is available in various colors such as dark green, black or any other custom color with an option to have a printed logo.